I have had an organ in the house for perhaps 35 years, a series in ever increasing size from a leading American organ builder. The latest 13 years ago served me well but was huge. Downsizing the house was never on the cards and a smaller instrument would have been both expensive and possibly disappointing. Out of curiosity, I went with a friend to Oakham to see and hear Nigel Stark demonstrate the Noorlander Fugara 3. Less than a minute was enough to convince that I wanted one. Firstly, there is the exciting authenticity of the sound produced by Hauptwerk, Sonus Paradisi samples; actually, although called samples, they are the full meal. This coupled with the Noorlander specified speaker system produces sounds which could only otherwise be heard in the church or cathedral in which the organ is sited. Secondly, the Noorlander Fugara console is beautifully designed and constructed, with many customer preference options available. It is a very convenient size for even a small room and does not require a large speaker system. Unlike some consoles it is a very attractive and not dominant addition to a room. 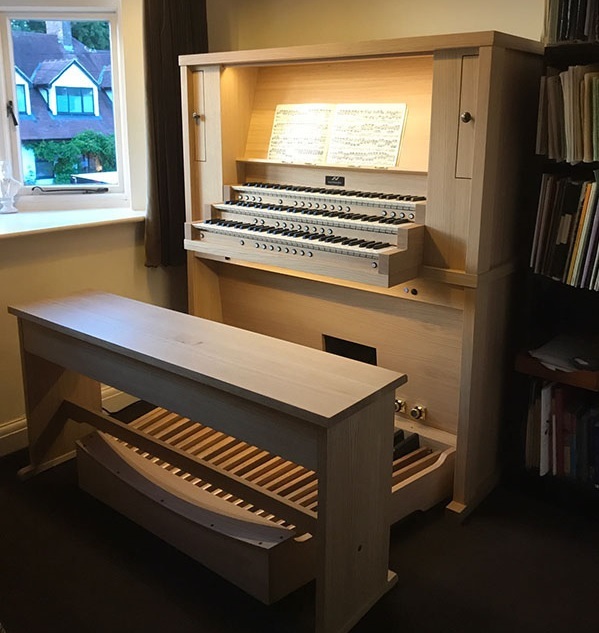 Thirdly, and of great importance is the professionalism, care and expertise of Nigel Stark of Hauptwerk Systems UK, the sole UK dealer for Noorlander Organs, in the choice of specification and then in the installation. The first and only thing a purchaser needs to do is sit down and play the instrument. That is of course not forgetting giving him a regular supply of coffee. Finally, cost which depends upon specification compares very favourably with any alternative, not of course that there are any to compare with the Hauptwerk system. I can now play the organ in Rotterdam Cathedral or the Cavaille-Coll in Caen in a dressing gown in the early morning, something the titulaire could never do.